The Port of Zeebrugge offers direct access to the European market, the continent with the highest population density. Located in the heart of Europe, directly at the open sea, CSP Zeebrugge easily connects to the main shipping routes in North Western Europe and can cater to the largest container vessels in the world. First class intermodal connections, including rail and access to the national and European highway systems, are available. The Zeebrugge facility steers clear of marine and land based congestion, which improves the service quality sifnificantly. 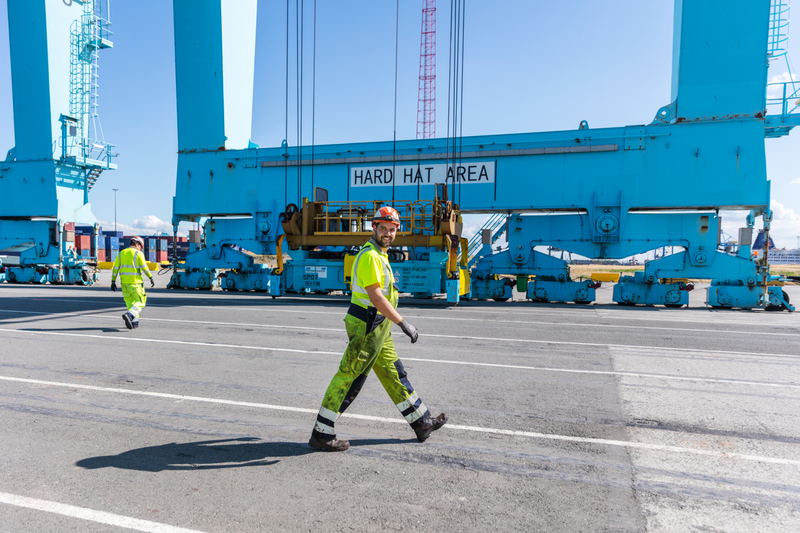 It is a coastal port with excellent hub capabilities to the UK, Ireland, Scandinavia and the Baltic region. CSP Zeebrugge is a state-of-the-art common-user terminal with 7 Super- Post Panamax gantry cranes. Welcome to CSP Zeebrugge. We look forward to working with you. CSP Zeebrugge, seaport of Bruges, is a major roll-on / roll-off and deep-sea container port in the heart of Europe, transloading almost 40 million tons of cargo on an annual basis. 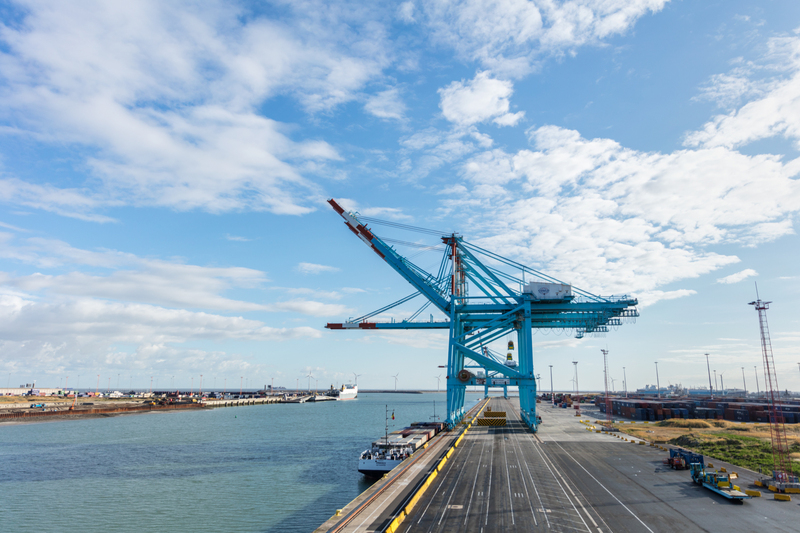 By combining an extensive range of freight services and intercontinental container services with inland shipping and a dense rail and road network, Zeebrugge offers the best direct access to European markets. 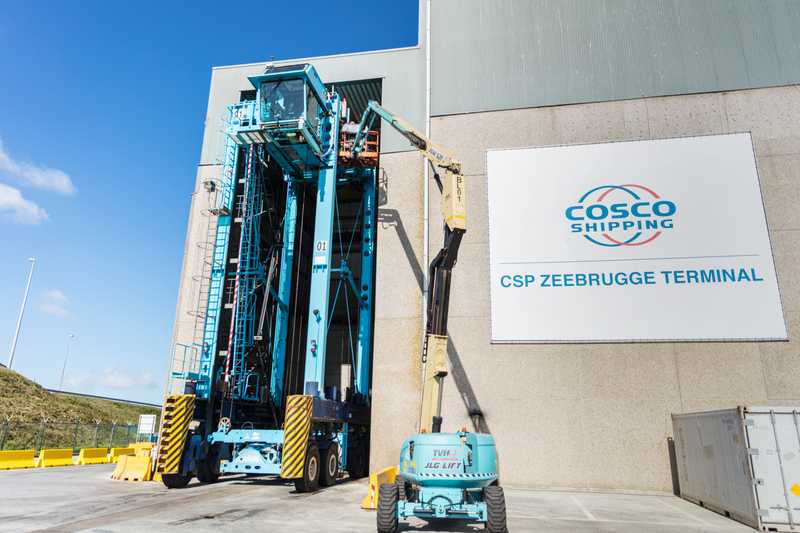 By being part of part of the COSCO network, CSP Zeebrugge can offer the best service and strengthen its position as the 5th busiest port in the North Europe range. China is an important trading partner for Europe. 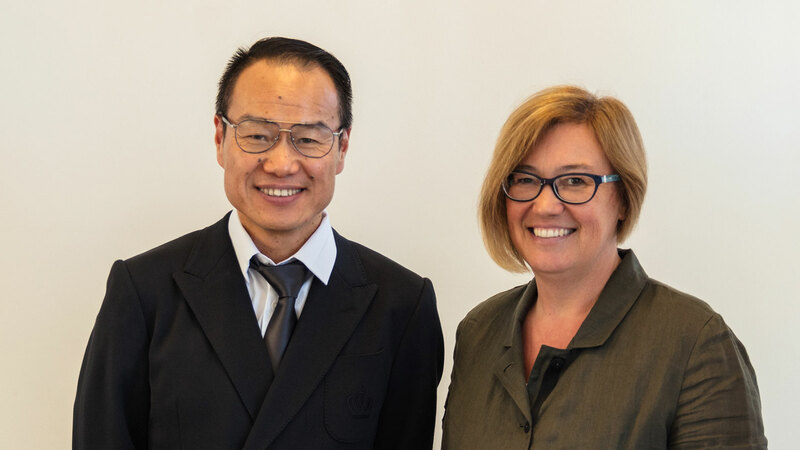 CSP Zeebrugge is committed to optimally facilitate the connection between the two regions, both in terms of export and import. We do this not only through our wide range of services, but also by thinking along as a pro-active partner and by searching for the best possible solution. We look forward to building a sustainable and long-term relationship with China. CSP Zeebrugge is dedicated to creating a safe and healthy working environment. We continuously optimize and evaluate our safety procedures, and we are committed to investing in technology, tools and procedures. All personnel are fully dedicated to maintaining the highest degree of safety and security. Educating and training our people is a top priority. We also challenge ourselves to contribute to a sustainable future by innovating and daring to question methods and habits. We are also AEO certified.